I spoke with an old friend recently. I will call him Joe. Joe has digestive tract issues, including extreme diverticulosis. While I have provided him with suggestions for improved nutrition and supplement use in recent years, he hasn’t followed any of my recommendations seriously. Instead Joe opted for a more conventional route. Now his situation has worsened dramatically, and he says he’s ready to start a program of improved nutrition and supplements. That’s good, even though it would be easier had he started sooner. Like I said, Joe is a good friend. I wish him health and happiness. My initial advice to Joe remains the same as it would be for everyone. He should start with a dietary changes and a solid program of foundational supplements like those in the HPDI Foundational Supplements Program. He can later add enhancements and condition-specific formulas addressing his unique needs. The HPDI Foundational Supplements program was developed by Hank Liers, PhD to provide optimal levels of basic nutrients important for good health. In our experience, the HPDI program works to support vibrant health. It also helps cover gaps left by poor diet, incomplete nutritional supplementation, and imbalances due to genetic factors. It helps to compensate for lower nutrients levels found in many modern foods both processed and/or produced by modern industrial agricultural methods (i.e., that deplete soils or block nutrient uptake). 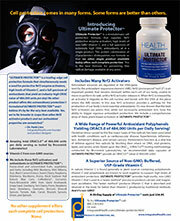 Read more the HPDI Foundational Supplements Program. 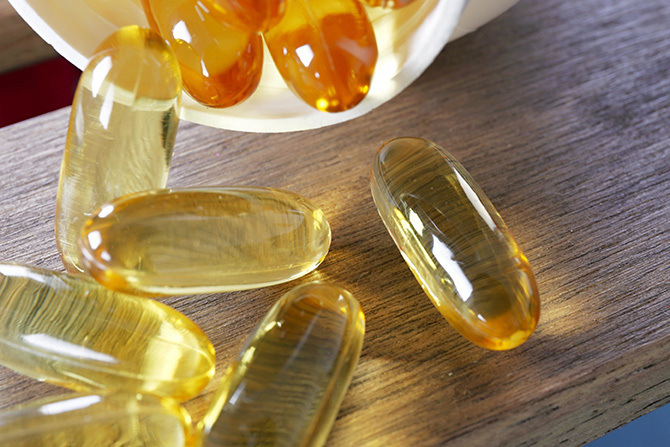 HPDI’s foundational supplements program includes six categories of dietary supplements. I don’t like to be overly prescriptive about food. But Joe is a “carb” lover and with a history of consuming processed, high-sugar foods, and junk foods. For example, processed breads, donuts, candy bars, and soda have been staples for years. It doesn’t help many of these foods either are GMO or high in glyphosate (the main ingredient in the herbicide RoundUp), which is known to produce adverse gastrointestinal (and other harmful) effects. He has reduced his intake of high-carb, sugary foods in recent years. In fact, he has significantly cut back on simple sugars because he finds they drain his energy and don’t help his digestion. I suggested he continue cutting back on simple carbs and sugars, and that he add more fresh vegetables and high-quality proteins to his diet. I recommend organically grown and non-GMO foods. I can’t say what caused Joe’s diverticulosis. But I can say that changes in his diet are necessary to support optimal health, as well as healing of damage to his digestive tract. It doesn’t help that Joe takes several drugs, including a long-term antibiotic for a stubborn urinary tract infection, and a laxative (containing polyethylene glycol) for his constipation and diverticulosis. These drugs may help in the short term, but they far from ideal for long-term use. Joe himself isn’t pleased with his need for drugs. He intends ultimately to stop them when possible. He has been having trouble sleeping in recent years. I suspect this may be related to his troubles with his intestinal tract, dysbiosis, and possibly issues with his microbiome. Joe sent me his supplement schedule and results from a few health tests to review. He has “nutrition-oriented” doctors whose advice he follows quite rigorously. I reviewed his supplement schedule and health test results. His results include some in-depth genetic tests, which provide insights into potential health concerns, and practical advice for nutritional supplementation. I saw glaring gaps in Joe’s supplement schedule. There are major imbalances in his supplement program. For example, I see no multivitamins or vitamin C/antioxidant formula, which are basic to the HPDI foundational program. Indeed, for all the good elements, his program unfortunately is hit-or-miss in terms of providing a complete spectrum of essential nutrients. 5,000 mg of vitamin D (25-hydroxy). 3,000 mg of Omega-3 (EPA/DHA) and 1,000 mg of flax seed oil. 1,000 mcg of B12 as methylcobalamin daily. Taking these standalone coenzyme B vitamins is good because test results indicate he has the heterozygous genotype for the MTHFR C677T (C/T) and MTHFR A1298C (A/C). The presence of both polymorphisms can result in significantly reduced activity of MTHFR potentially leading to reduced production of the active form of folate (L-methylfolate). I asked about his multivitamin and vitamin C intake. He said he takes them despite the fact they are absent from his supplement schedule. I supposed they were absent from his schedule because his doctors want to make sure he gets his vitamin D, folate, methylcobalamin, and essential fats, but aren’t too concerned about whether or not he takes a complete multivitamin, vitamin C/antioxidant formula, or complete B-complex vitamins. Joe told me he takes a multivitamin, B-complex, and vitamin C supplement. But didn’t take all of them daily. All three products came from a “big-box” store known for low prices. Joe therefore consumed a few specific, advanced, medical-quality formulas at the direction of his doctors. Yet, he purchased low-end multivitamin, vitamin C, and B-complex products that can or should be the foundation of his supplement program. His multivitamin was a low-potency formula providing only 3–500% of the daily value for most nutrients with many at exactly 100%. Not only is this multivitamin low-potency, but its forms are conventional (no coenzyme vitamins or advanced forms). Moreover, it is full of unnecessary additives and fillers like polyethylene glycol, polyvinylpyrrolidone, and sodium benzoate. His vitamin C was 500 mg. He didn’t take it every day and when he did, he took only one or two. Joe and I talked about his situation. He agreed to receive a package of supplements. Actually, I attempted several years ago to help him get onto a foundational supplements program. He took some supplements and he definitely noticed a difference in how he felt. Yet, he wasn’t ready to take a complete system of high-quality supplements. He finally agreed to try the program. I sent him a package of HPDI supplements. It included two foundational supplements: Hank & Brian’s Mighty Multi-Vite! 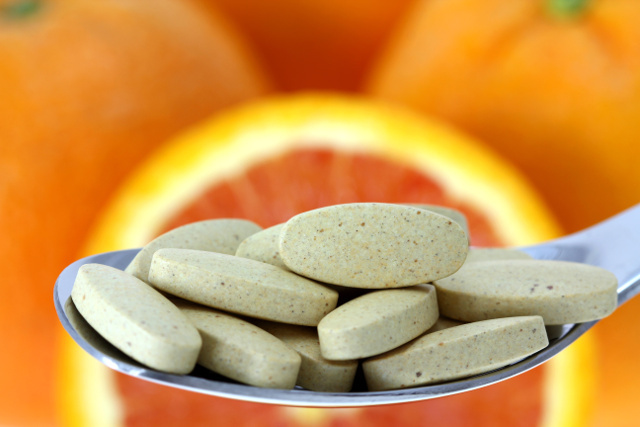 (multivitamin) and PRO-C (vitamin C/antioxidant formula). I did not include essential fats because he already takes them. I will send Rejuvenate! PLUS superfood and Intestinal Rejuvenation Formula in a separate shipment. Joe now takes the Mighty Multi-Vite! and PRO-C, as well as Myo-Mag (magnesium) daily. He is already noticing he needs less of his laxative, and has scaled back his dosage. He can see the day is coming when he can wean himself entirely of it. He has updated his supplement schedule to include all of his supplements, so he can better track his supplement intake and ensure consistency. I also sent him a Warrior Sleep for his sleeping troubles, and a bottle of Restore, which may help his intestinal tract and problems related to it. 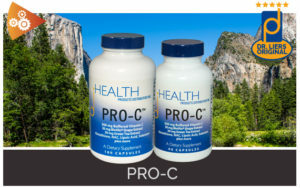 PRO-C is one of HPDI’s premier vitamin C / antioxidant formulas. In forthcoming blog posts I plan to document the status of Joe’s health, including his energy levels and subjective feelings about his health. We will see how foundational supplements help him. Not everyone is as fortunate as as Joe to have a friend who will send supplements and more importantly, talk to him in depth about nutrition and the need for foundational supplements. It is my hope that Joe will follow the foundational supplements program, regain some health, and continue to improve by remaining on the program with HPDI supplements. He can take on his foundational supplements program as a mission for his own long-term health. I also hope Joe’s experience with HPDI supplements will be an example to others who may be in similar situations. This includes individuals who don’t know where to begin, and those who take a variety of supplements yet aren’t receiving a full complement of essential nutrients. Joe is far from being alone in having significant gaps in his foundation of essential nutrients that support good health. His doctors missed those gaps despite their best intentions to provide him with advanced nutrients based on genetic testing to assess potential deficiencies. “Losing sight of the forest for the trees” can happen to the best of us. 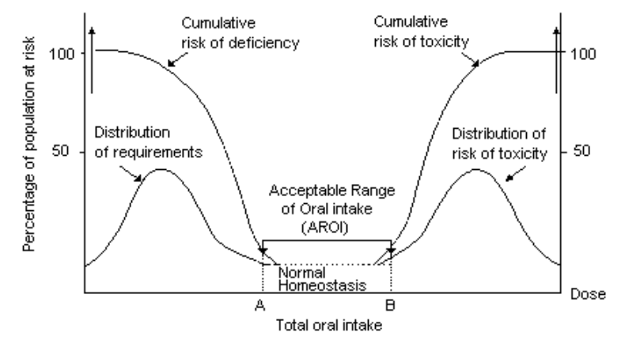 In fact, the average person’s nutrient profile is not unlike Joe’s in many respects. And like Joe’s situation, foundational supplements can help close the gaps. There are many reasons I feel confident that HPDI foundational supplements will continue helping Joe. Not only am I not surprised he is noticing results, but also I’ve seen health improve in many (perhaps hundreds of) individuals when they begin a complete foundational supplements program, and then especially when they maintain it. Good results are not surprising when the levels of nutrients increase from just 100% of the daily value for most nutrients to much higher levels. Results improve over time when the body continues receiving high levels of essential nutrients. Dietary supplements are generally non-toxic so there is little risk of problems when the body receives more than adequate nutrients to meet its needs. And why take just the minimum? Minimum amounts of nutrients tend to perpetuate deficiencies when you consider factors like poor diet, increased oxidative stress, toxic exposures (leading to greater nutrient needs to support detoxification), and genetic factors (e.g., enzyme deficiencies). 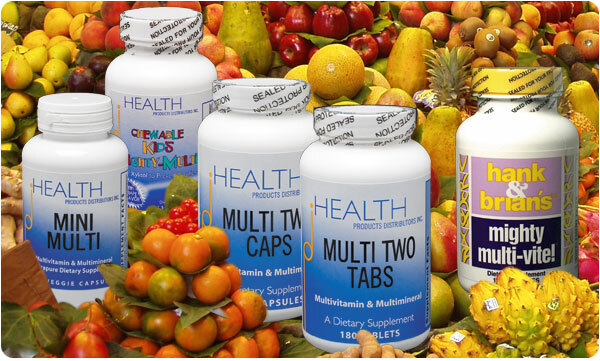 HPDI Multivitamins include Mighty Multi-Vite!, Multi Two (caps and tabs), Mini Multi, and Chewable Kids Mighty-Multi! For more information on the revised system, see Amending the HPDI Foundational Supplements Program (blog post) by Hank Liers, PhD. All six of these types of formulas comprise the HPDI Foundational Supplements Program. 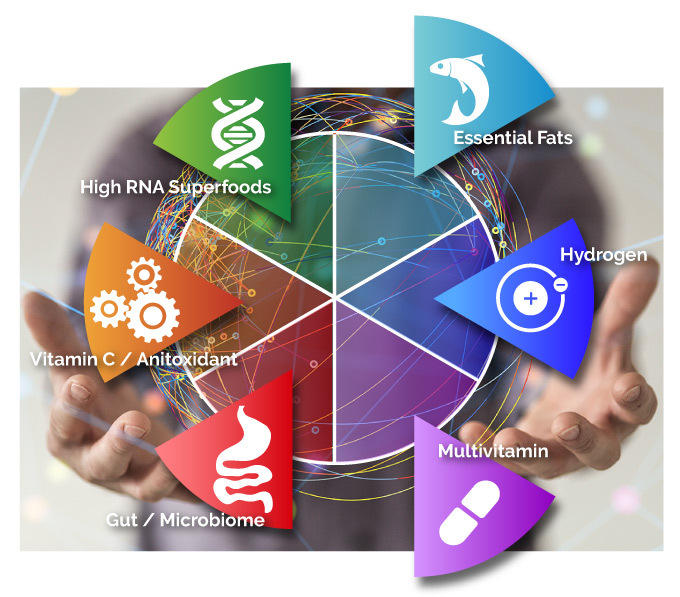 It is our belief that these six types of formulas are foundational to health regardless of whether you use HPDI’s supplements or those of another company (as long as they are high-quality, high-potency, provide the proper forms, and do not contain unnecessary excipients or toxic ingredients). The HPDI foundational supplement program is the result of many years of product formulation, evaluating scientific research, following the experience of end-users, feedback from doctors and other clients, and staying on the cutting-edge of nutritional science. HPDI is known for updating its formulas as new information becomes available regarding better forms of nutrients, or means form improving nutrient uptake or utilization. HPDI formulates four of the six types of formulas in the Foundational Supplements Program. HPDI Multivitamins include: Hank & Brian’s Mighty Multi-Vite!, Multi Two (caps or tabs), Mini Multi (for the chemically sensitive), and the Kid’s Mighty Multi! HPDI’s Rejuvenate! Superfoods include: Rejuvenate! Original (densely green), Rejuvenate! PLUS (lightly green), and Rejuvenate! Berries & Herbs (no greens). See the Rejuvenate! side-by-side comparison. HPDI foundational supplements are formulated by Dr. Hank Liers, PhD. Hank is known for formulas that utilize only the highest-purity and highest-quality ingredients, and for his emphasis on natural forms (e.g., coenzyme forms) best recognized and utilized by the body. Foundational supplements are the foundation for good health. That is why we call them foundational. This is also why we believe so strongly in providing a strong foundation of nutrients before recommending what we call enhancement formulas, specific-condition formulas, or other add-ons (such as a soil-based probiotic formula). That is to say, a given individual will possibly have many requirements for nutrients specific to their needs. Such formulas may include magnesium, iodine, certain B vitamins like coenzyme folate (5-MTHF). An individual may also require formulas specific to certain issues, concerns, or organ systems, such as formulas targeting joint health, bone health, allergies, blood sugar, liver health, and others. In fact, HPDI formulates formulas specific to these needs. Yet, before specific needs are addressed, or at least concurrently, HPDI believes that foundational nutrients must provide the base or foundation upon which all other nutrients, condition-specific formulas, or enhancement formulas rest. One danger, as we saw with Joe’s supplement schedule before he started taking HPDI foundational supplements, was putting the cart before the horse. That is, finding a person in a situation where there are several or numerous advanced nutrients being taken. Yet, where the “base” is relatively weak due to low-potency supplements and/or lack of basic nutrients. In this type of situation, it is less likely that the addition of several advanced nutrients can make as much of a difference for health because key nutrients are missing. Missing key nutrients prevents certain advanced nutrients or even higher levels of specific nutrients from doing their job because major imbalances can render those nutrients useless, less bioavailable, or unable to contribute what they could were there a sufficiency of the basic nutrients required to support all biochemical processes in the body. We have written much on this topic—please see the resources section (below) for more information. The point is that without a plentiful supply of basic nutrients in ideal forms, which is exactly what is provided by foundational supplements (and almost never by diet alone), a person will remain vulnerable to many nutrient deficiencies. Nutrient deficiencies (especially when they are prolonged over time) can result in less than optimal health. By simply providing optimal levels of all basic nutrients, foundational supplements support the body by covering its nutritional needs, not unlike insurance. Moreover, they are generally inexpensive (relative to conventional health care costs) even for the highest-quality supplements, such as HPDI formulas. 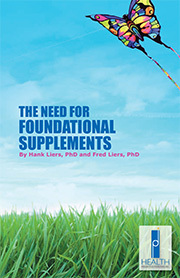 Foundational supplements remain fundamental for health. Nothing can replace them. Before starting single nutrients or condition-specific formulas, it is important to obtain a full complement of basic nutrients that support bodily function. After basic nutrition is attained through foundational supplements, diet, and appropriate lifestyle changes, then other types of nutritional supplements (such as enhancement formulas and specific-condition formulas) may be added to form a complete nutritional supplement system. Hank & Brian’s Mighty Multi-Vite! Health care professionals and resellers can apply for wholesale account, which includes access to the HPDI reseller website: HealthProductsDistributors.com. Email: Support(at)HealthProductsDistributors.com.